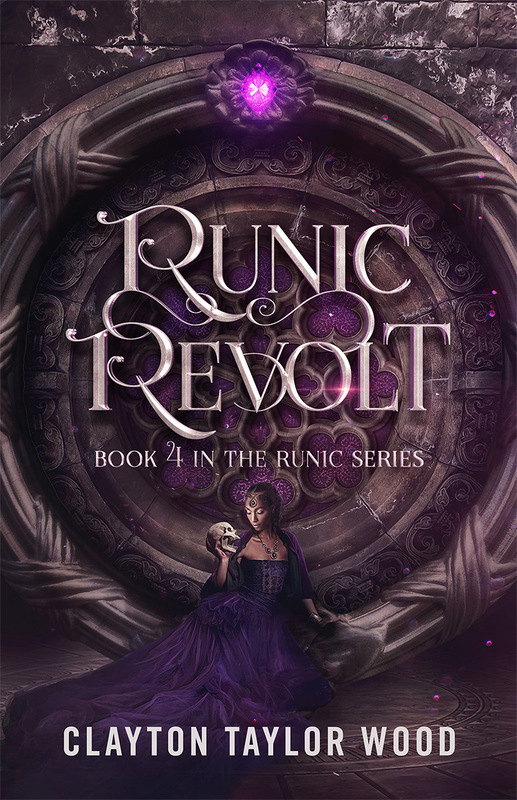 The cover for Runic Revolt, the fourth book in the Runic series, is here at last! Thank you to James T. Egan at Bookfly Design for yet another great cover! I'll be there for the whole convention. Looking forward to it! Every once and again I try new marketing ideas to bring more readers to my books. A while back I decided to try a Goodreads Giveaway, where I offered to give away three free copies of one of my books. As you may know, I love to talk about the numbers...and let me tell you, they weren't good. A total of 605 people requested the book, and 241 people put it on their "to-read" list. Of these, precisely zero people put it on their "currently reading" list. Now, there are several possibilities for why this happened. The book cover didn't attract any readers to actually read it. The blurb for the book is failing to convert potential readers into readers. Giveaways aren't an effective way to promote books. Giveaways attract mostly people who collect free stuff (leading to #3). Either way, I didn't find the giveaway useful, and although I may try it again with a different book, it certainly makes me question the value of using Goodreads' new ebook giveaways. Those cost $119 for the regular giveaway of up to 100 ebooks, and $599 for premium listing of the same. With no guarantee of ROI - and for $599, an almost certain loss of about $599 - I can't justify these promotions as a viable way to market my books. Has anyone else had better luck with these promotions? If so, let me know! Only six more weeks until Readercon in Quincy, MA! I'll be there for the whole convention, and I'm looking forward to it! My goal is to have the fourth book in the Runic series either published or pretty darn closed to it by that point. I'm about 70% of the way through writing it, and working hard to finish on time. After that, I'll be working on Destroyer of Legends, the sequel to Seeker of Legends. And then it'll be time to start a whole new series, one I've been thinking about for the last year and a half. As usual, I'll keep you posted. Hope to see you at Readercon! I'm about halfway done with Runic Revolt, the fourth book in the Runic series! Lots of new stuff in this one. Working hard to finish it by this summer, hopefully before Readercon! It's quite the lofty goal, considering the first book took years to finish, the second took over a year, and the third took ten months to complete. I'll do my best, but I won't compromise quality. I'm posting another chapter to the preview on my site. You can click here to read it. Keep in mind that there might be small errors here and there, as I haven't done my usual three to four rounds of editing yet! The paperback version of Seeker of Legends is now available! You can get it here! Seeker of Legends Now Available! The sequel to Hunter of Legends has been published on Amazon! Get it for $2.99, or for free on Kindle Unlimited! Runic Vengeance, the 3rd ebook in the epic fantasy trilogy, is FREE on Amazon today! It has magic engineers, epic battles, vengeful gods, and a pirate ship too. Check it out! Looking for Reviews for the Runic Series! Runic Awakening has 48 reviews, and once it gets to 50, it will make the book more visible on Amazon. If you liked the Runic series, even a sentence or two helps. I'd appreciate it! Also, I'm nearly finished with Seeker of Legends. Getting it ready for publication over the next week! Seeker of Legends Nearly Complete! I'm done with the final edits of Seeker of Legends, the sequel to Hunter of Legends! All of my edits are on a printout of the manuscript, and I'll be spending the next couple days making the changes to the word document. After that, all I need to do is a final once-over, and I'll format it and publish it. I'm excited for you guys to read it! To get a sneak preview, click here. I'm having a little trouble with the web site, which is hosted by Squarespace. For some reason, the bar graphs showing my progress with each book aren't editable. Which is too bad, because I've made quite a bit of progress! I'm finishing the final edits for Seeker of Legends, and the cover is complete. After I finish the edits, I'll format and publish it. Should be mid-March or so. For Runic Revolt, the fourth book in the Runic series, I'm about a quarter of the way through the first draft. To read a preview for Seeker of Legends, click here. To read a preview for Runic Revolt, click here. I'm in the process of editing and completing the final draft of Seeker of Legends, the second book in the Fate of Legends series (for a preview, click here). To edit my first drafts, I print them out, 2 pages on a side, double-sided. I hole-punch them and put the book in a three-ring binder, and go through it with a red or blue pen, making changes and additions as I go. When I'm done, I make these edits on the word document. I usually do this process 2-3 times, sometimes reading the book backward (from the end). Each time, I make a few thousands changes, and do a complete spelling and grammar check afterward. The process takes a month-and-a-half to two months. It's a lot harder than hiring an editor, but also much cheaper! One day, I might hire an editor, if it becomes cost-effective to do so. But with books over 150,000 words, it can get awfully expensive. That being said, if you find an error in one of my books, feel free to let me know at author@runicseries.com. If I agree it's a mistake, I'll gift you one of my books! When I write a book, I usually have a very clear idea of the world, most of the characters, and the beginning, a scene in the middle, and the ending. I let the rest be created on the fly, so to speak. A process than writers call "pantsing," or flying by the seat of your pants. For Destroyer of Legends, one of the two books I'm working on now, I've decided to try outlining the entire book first, then filling it in. It should be an interesting experiment, and I'll let you know how I feel about it vs. my usual method of writing my novels! The first draft of Seeker of Legends, the sequel to Hunter of Legends, is now complete! At 469 pages, it is around the same length as the first book. I've already got a ton of edits listed for the final draft, and am working on it now! In addition, James T. Egan from Bookfly Design has completed the first draft of the book cover, and let me tell you...I think it's pretty darn spectacular. I'll be uploading the final version as soon as it is complete. To read the first few chapters of Seeker of Legends, click here! Or, if you haven't read Hunter of Legends yet, click here to preview it or get it on Amazon!